Speleology —the science of cave exploration— starts as soon as you put on your equipment and ask yourself questions: How deep is the cave? How far does it go? What animals live there? Will there be a lot of bats? Then, as soon as you go inside and the light begins to fade and disappear, all the questions go into the background: Cave exploration requires the greatest concentration and confidence in your decisions, both personally and as a team. Our faces were transformed with each word he mentioned: large, deep, bats. We headed to the Cueva de la Mariana invaded by curiosity, and brought with us all kinds of gear: helmets, headlamps, extra flashlights, harnesses, belts, straps and especially our masks, which are our trademark on many explorations. Masks are an essential element, along with the helmets and flashlight, as the presence of bats and the accumulation of their feces generates toxic fumes and can harbor spores of the fungus that causes histoplasmosis, a respiratory disease. Risk is always present. Sonora, Mexico is known for being a desert region and the Sonoran Desert dominates most of the state. It is characterized by warm weather and low rainfall, and is not considered a favorable region for cave formation. Four years ago we embarked on this project, exploring caves and lava tubes in a region where the word speleology seems more like a tongue-twister than a science. Our initial emphasis was on exploration and wildlife research in caves, which has allowed us to develop different projects and expeditions. Among the species that we found there’s a very interesting group, the protagonist of many unexplored caves: bats. Mexico has 144 species of bats, with different eating habits and ecological functions that benefit the human economies. Additionally, over 100 species of bats have been recorded as visitors to the caves, using them as temporary shelters or part of their life cycle. Over the years we have explored caves in Sonora, we found several species of bats that contribute to both the external environment and to the cave itself. 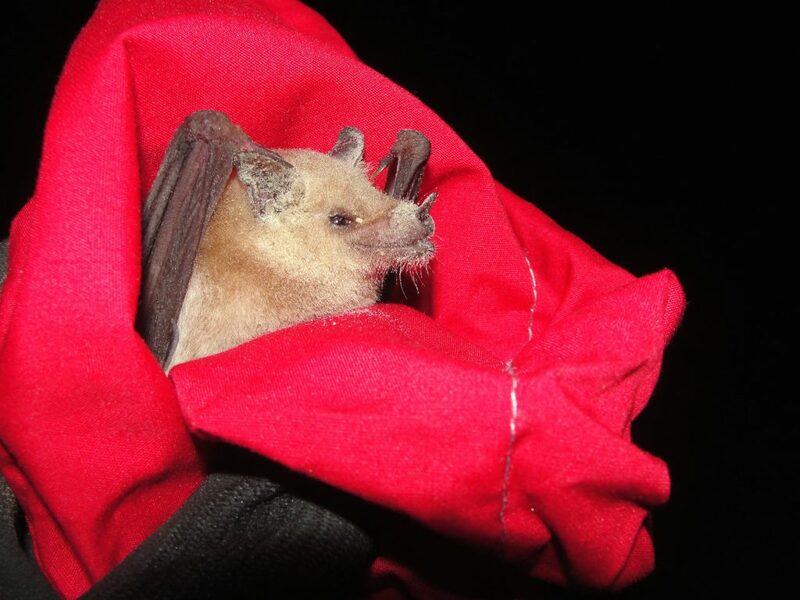 Two species stand out for its implications and relationship with humans: the Mexican free-tailed bat (Tadarida brasiliensis) and the lesser long-nosed bat (Leptonycteris yerbabuena). We have found Mexican free-tailed bats in most of the caves we’ve explored, in populations reaching up to one million individuals. Every night they come out to feed on thousands and thousands of insects, including agricultural pests. While their effect has not been evaluated in Sonora, it has been found that they benefit farmers by reducing insecticide use. The lesser long-nosed bat is listed as threatened by Mexican law. Its ecological function is the pollination of over 60 species of cacti and agaves, including the blue agave used to make tequila. It also scatters the seeds of the fruits it eats, and is therefore considered the architect of the desert. In May of this year, due to the discovery of bat populations in several caves, we were invited to participate in an expedition to the El Pinacate and Gran Desierto de Altar Biosphere Reserve under the direction of Dr. Rodrigo Medellin, one of the leading bat conservation researchers in Mexico. We entered a lava tube known as the Cueva de los Leptos, observing and analyzing new hatchlings and the health of the population. Each year, this cave receives approximately 300,000 female lesser long-nosed bats who migrate to use it as a maternity cave. The expedition generated new projects, since we’ve found this species in other caves in Sonora. Now it’s up to us to assess their importance and conservation, since the species inhabiting caves with large populations are the most vulnerable and need our support. A project that has emerged and is nearing completion is the first faunal inventory of two Sonoran caves, listening the species associated with underground environments: bats, felines, rodents, birds, rattlesnakes, beetles, true bugs, spiders, amblypygids and centipedes are some of the species found in just one cave. In some cases, these species are new records for Sonora or and even the country. Discoveries like these motivate us to keep exploring new caves. If just one cave offered us so much, we know that there’s potential for the discovery of new species throughout the region. 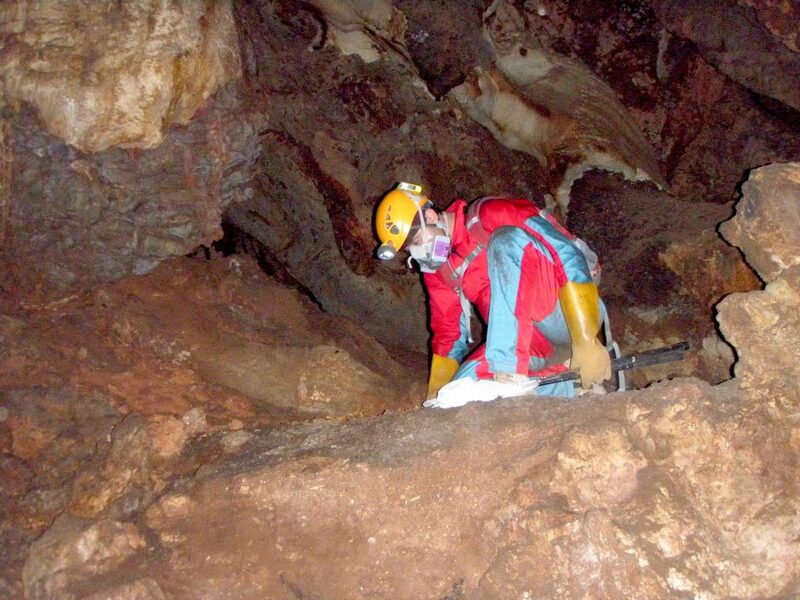 Remarkable opportunities are emerging for caving in Sonora. That’s why we formed the Sonora Pioneer Speleological Group (G-PES by its initials in Spanish), with members from different disciplines. This is the first group of its kind in the state of Sonora. Our objectives are clear: exploration, research, and conservation of underground environments. 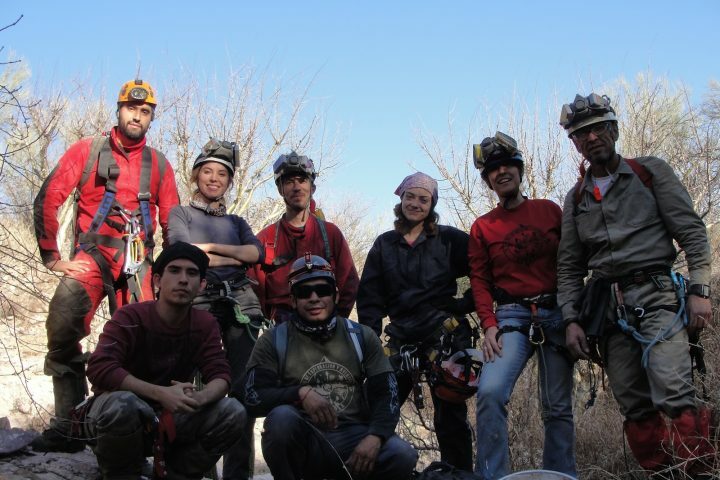 Speleology in Sonora was born from genuine interest in knowing, and making known, a world where only few dare to enter. Each expedition is, and always will be, a new adventure.